Retirement life should be as easy as a pie. Take a look at the 7 best investment options for your post-retirement needs that can help you sail through the non-employed period of life. It is rightly said, ‘you are never too old to dream a new dream’. As one chapter ends, the other begins. Though retirement ideally should be the great escape from your otherwise busy and hectic work-life, it yet should be enjoyable and relaxing. However, this fulfilling phase can only be achieved, by planning your post-retirement needs in advance. 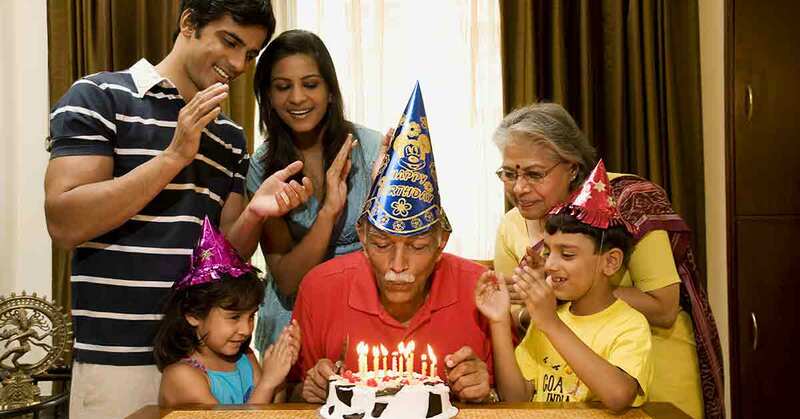 Here we give you some ‘Gyaan’ on the 7 most used investment options for your post-retirement needs. But, usually we all find some common excuses for not saving for a happy retirement. Let’s barge into these excuses right now! Lack of goals setting, procrastination, student loan debt, other loan debts, overestimation of social security and inability to save are some of the most common excuses for not saving for your retirement. People often only focus on the present so much, that they almost forget to plan wisely for their future. The above-mentioned reasons are so common that you may for sure relate to it. A little amount of consistent saving can do wonders. How much ever you earn, make sure to keep aside a particular amount each time. Don’t procrastinate, do it now! You could miss out on so much of cumulative interest. Setting goals is an important aspect to really think over. Short-term or long-term, goals will make you more focused and clearer on what you want and where you want to be. Most people do not think about retirement, they think there is a lot of time for that. There probably is time left for retirement, but as we all know time flies faster than we know. If you don’t plan and invest for your retirement now, you will have to face unwanted hassle during your retirement age. There are seven retirement-based investment plans below that are popular among people. To choose the best investment option for you, you calculate your life well. The Pension Fund Regulatory and Development Authority (PFRDA) modulates an enduring retirement-based investment product called the National Pension System (NPS). This scheme is available to all citizens, but compulsory for government employees. While the deferment phase is going on, you have to invest till 60 years of age. You will then begin to receive an annuity from the life insurance company on 40 percent of the entirety and your balance can be withdrawn too. Neither the returns during this deferment period nor the pension is guaranteed as this completely depends upon the dormant asset types like corporate bonds, government bonds, equity and many others. While the pension (annuity) is still taxable, the National Pension System (NPS) consists of tax advantage of the amount that is invested. The Public Provident Fund (PPF) is a very old long-term product. With a time-period of 165 long years, the result of the coalesce of tax-free interest is enormous. Based upon the returns of the government securities, the government decides the interest rates on the Public Provident Fund (PPF) every three months. This scheme is definitely safeguarded, since the principle that is invested and the interest that is earned is supported by supreme guarantee. Employee Retirement Fund (ERF) is the most widely known tool for retirement savings. This scheme not only offers tax deductions under section 80C but also has an amazing interest rate of 8.5% p.a. If you have been busy in service continuously for the last five years, the interest earned on this scheme as as well as the withdrawals are tax free. It is wise to continue your Employee Provident Fund (EPF) even to your next new job, by transferring the account to your new employer. This retirement plan will enable you to reap the advantages of guaranteed returns as well as the effects of compounding. For the sole purpose of retirement savings, there are four types of mutual fund schemes- HDFC Retirement Savings Fund, Savings Retirement Funds, Franklin India Pension Fund and UTI Retirement Benefit Pension Fund. They have the ability to provide high inflation-adjusted return for long tenures, since they are comparatively less vulnerable to equities. The lock-in period depends on the type of scheme. Precisely, the exit-load if it is paid back before 58 years of age and much before reaching the main amount is 3 percent. The whole corpus can be redeemed after the age of 58 years, no penalties will be charged. Life Insurance Pension Plans are not as well-known as other life insurance plans. This may be because according to regulations, they provide inherent guarantees. Life Insurance Pension Plans are basically unit-linked insurance plans offered by life insurance companies. Guarantees often increase the cost and most of the time cause a blockage to returns. On retirement age i.e. vesting age, the insurance company has to maturity amount as well as the death benefit. The policy holder or the insured is provided with ‘Assured Benefit’ which refers to 101% of the full premium that is paid or the fund value, whichever is greater. For this purpose, the placement of your premium in various uncertain assets is constricted. On retirement, there is less ability of establishing a greater corpus, if less premiums are allocated to premiums. Insurance companies may also charge heavy guarantee charge, prior to allocating in even more equities. If you are seeking for market-linked returns, this scheme is just right for you, since it has few uncertainties. Mutual funds Systematic Investment plans are an excellent way to save for your retirement plans. It may be the best investment option available too. Long tenure profits are exempted from tax. 20% with indexation and 10% without indexation are taxed for debt fund gains. Indexation is nil, when the inflation capital gains are high. Systematic Investment Plans have no restrictions and penalties. They are very flexible. Atal Pension Yojana (APY) is considered to be a valuable pension plan that provides 8 percent of assured sum return and various chances of greater earnings. This scheme is a deferred pension plan. The eligibility requires you to be minimum of 18 years and maximum of 40 years, along with having a savings bank account. There are five alternatives within the Atal Pension Yojana scheme that give guaranteed pension of Rs. 1000, Rs. 2000, Rs. 3000, Rs. 4000 and Rs. 5000 every month by the stage the policy holder is 60 years in age. The premium is decided on the basis of the amount you select as pension. Although this scheme consists of returns that are assured and fixed, this often also includes an investment cap. It is advised, to not only rely of this plan for retirement needs. In conclusion, it’s better to combine pension plans that rely on just one. Perhaps, the best investment option would be to have two to three funds rather than a single one. There are many other retirement investment options too. The whole purpose of acquiring a retirement fund through a pension plan is to suffice you monetarily during the non-working phase of your life. To choose the best retirement plan, you must find the correct balance with investment returns and risk. Choose wisely, happy retirement to you!